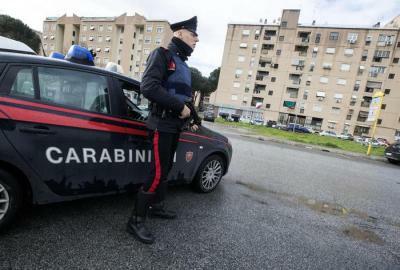 NAPLES – Eight members of the Neapolitan criminal organisation, the Camorra, have been arrested following a breakaway from the group’s leadership to enter the illegal drug trade. The unendorsed split, while their leader was behind bars, led to fatal armed clashes after the secessionists refused to reunite the group. In the absence of the boss, Francesco Mallardo, several members founded the “Catuogno-Di Biase” clan, in an unauthorised divorce which was promptly banned by Mallardo upon his release in 2014. The new faction began to sell drugs in the barren area to the north of Naples, unbeknownst to their incarcerated leader. However, a Carabinieri raid, led by the Investigative Unit of Castello di Cisterna (Naples), successfully captured eight criminals, allegedly members of the “Catuogno-Di Biase” clan, who had been operating in the districts surrounding Giugliano. Failure to bring the Mallardo clan back together sparked violent collisions between the old and new groups. Michele Di Biase, known as “Paparella”, was assassinated as well as an Algerian-born drug dealer, who was killed in an ambush at Nellino Di Biase. The Carabinieri discovered several remote homes which had been transformed into small drug shops. The police invasion led to the arrest of Gennaro Catuogno, Domenico Chiariello, Ernesto Cuciniello, Nello Di Biase, Francesco Di Nardo, Giuseppe Mele e Crescenzo Panico. The successful raid arrives in tandem with accusations against four businessmen in Reggio Calabria, on charges of association with the Calabrian-based 'Ndrangheta mafia. The entrepreneurs are believed to have hired some of the most brutal thugs across the city in order to optimise their soaring profits. The enormous operation employed over 100 Carabinieri and seized assets exceeding 50 million euros in value. Recent crackdowns also come in the wake of last week’s seizure of the 'Ndrangheta’s “strategy chief,” Giuseppe Pelle. The 58-year-old, who had been on the run since 2016, was caught by police at Condofuri, near Reggio Calabria, but reportedly did not resist his arrest. The search operation discovered the fugitive hiding in his highly inaccessible home in Condofuri. The break-in encountered Pelle on a sofa in his house where he would sleep fully-clothed, prepared to make a getaway at any point. The startled former boss of the San Luca mafia group was heard shouting “I surrender, I’m not armed,” as police arrived at the location, sheltered amongst the safety of a river and without roads access. Pelle was not alone in the house and two or three other, allegedly linked to Pelle’s mafia activity, were arrested at the same time.